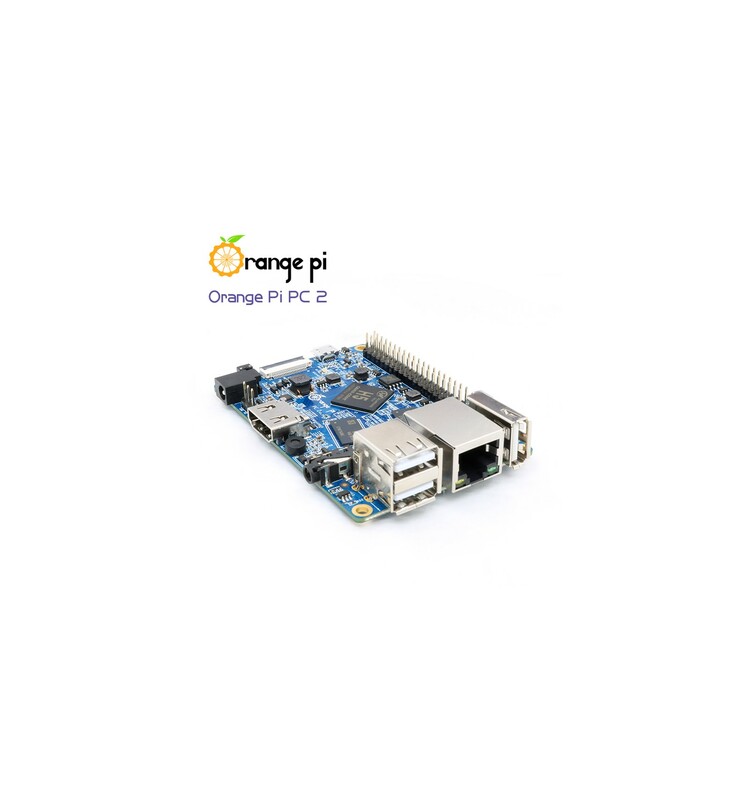 The new Orange Pi PC2 is an update of the popular Orange Pi PC board with a faster 64-bit ARM processor, an 8 Mbit SPI flash, and Gigabit Ethernet support. 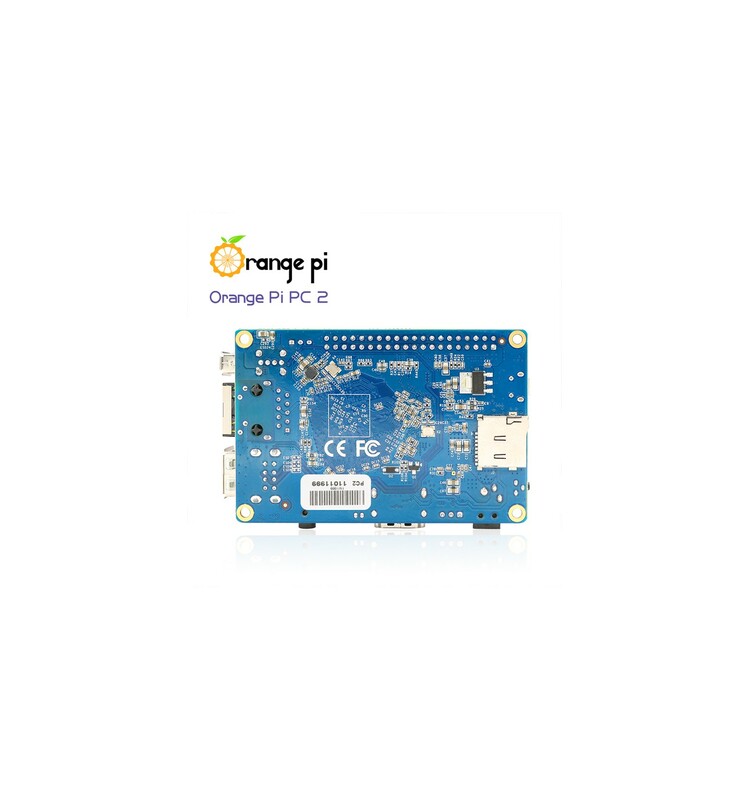 Like a Raspberry Pi, the Orange Pi PC 2 is basically a credit card-sized computer, measuring 85mm x 55mm, and weighing 70 grams. 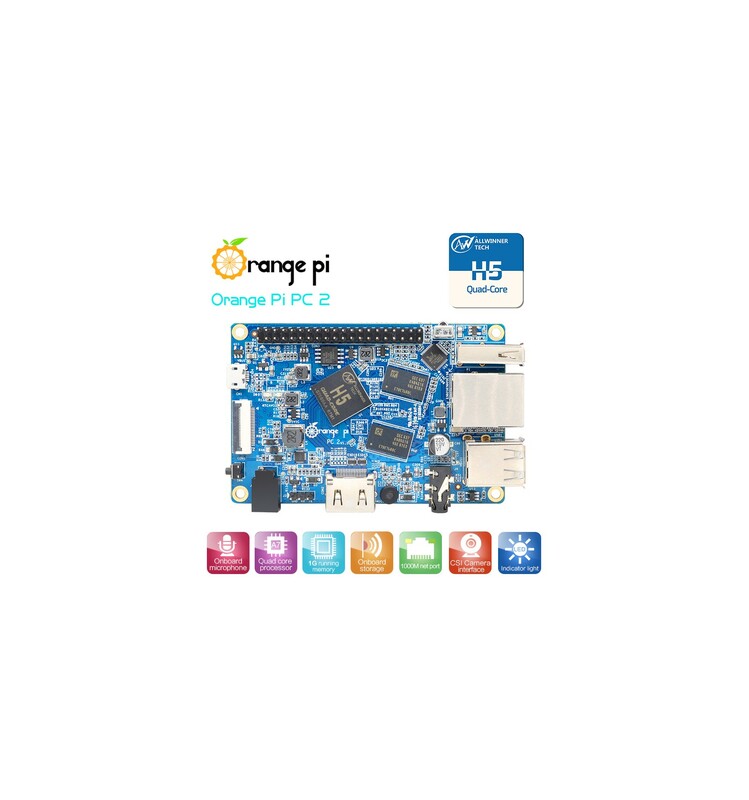 It has an Allwinner H5 quad-core ARM Cortex-A53 processor with Mali-450 graphics, 1GB Of RAM, and a microSD card slot that allows you to use cards with up to 64GB of storage. 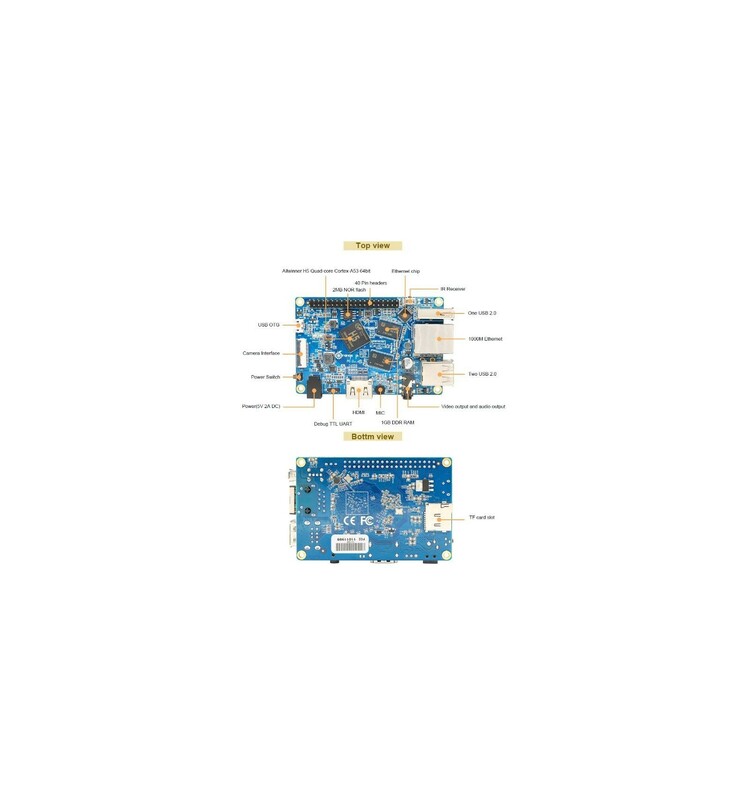 Ports include HDMI 1.4, A/V, Gigabit Ethernet, three USB 2.0 ports, and a micro USB port and an IR receiver that can be used with a remote control. 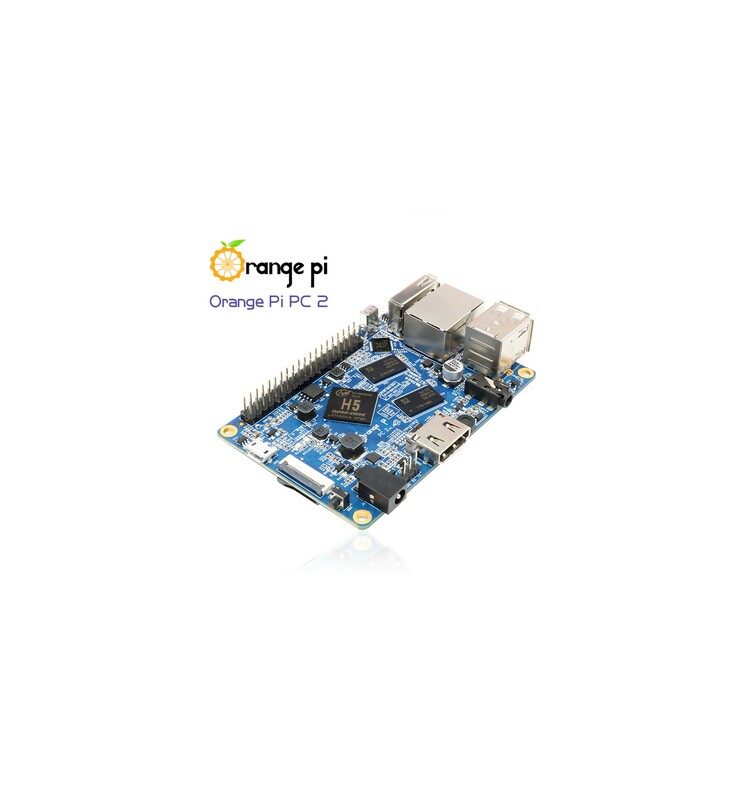 The computer also has developer-friendly features including a 40-pin, Raspberry Pi-compatible header that can be used for debugging, programming, or HAT expansion boards. 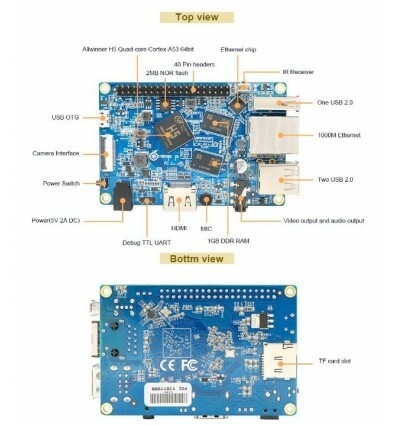 Shenzhen Xunlong plans to offer Android, Ubuntu, Debian, and Raspbian software images that are compatible with the board. 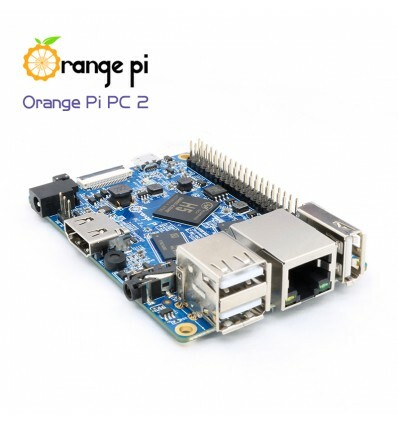 You may also be interested in Orange Pi PC 2 Schematics (PDF), and visit Orange Pi PC 2 product page for more details.